During their 87 year imperialist reign the French imposed their own architectural style on a number of fine stately buildings, whole quarters and even whole cities in Vietnam. In Hanoi in particular, which was once the capital of French Indochina, the urge to build and put France’s stamp of authority on Vietnam led to the erection of a huge number of magnificent European-style buildings in the late 19th and early 20th century, one of the most striking architectures is the cathedral. 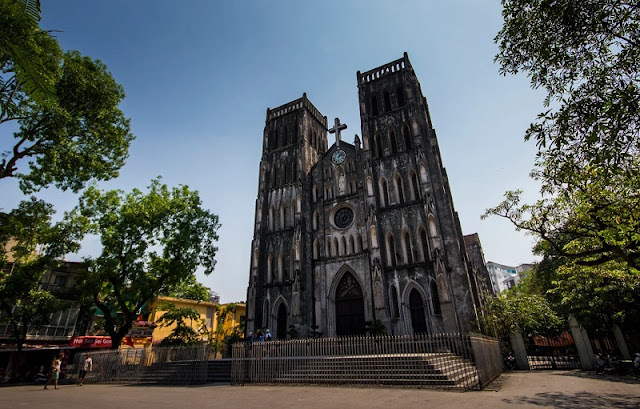 Amid the continuous development of Hanoi, the French architecture hallmark stands still as a witness for a long history which contributes to Hanoi today. As Jean-Noel Poirier, former French Ambassador to Vietnam said: “Hanoi old quarter shows the marriage of French and Vietnamese architecture”. With numerous layers of history, Hanoi city’s face enjoys the combination of varied architecture styles, including French's. 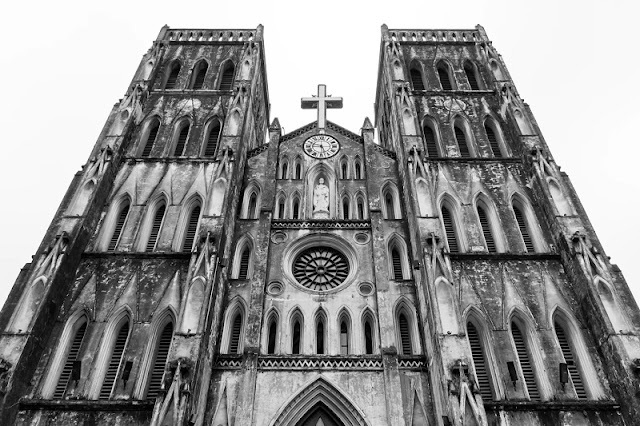 With the official name of the church St. Joseph’s Cathedral, Hanoi Cathedral, also called the cathedral of the General The Diocese of Hanoi, is one of the earliest Catholic buildings in Vietnam and one of the most beautiful churches in the capital. St. Joseph’s Cathedral was designed in the style of European Gothic, influenced by the Notre Dame Cathedral (France). The church has the length of 64.5m, the width of 20.5m and two 31.5-meter-towers, the facade layout is divided into three symmetric parts. The two towers are high up, in the middle is the lower block ended by the triangular wall with the cross. Most of the doors and windows on the façade were built with the typical Gothic arch. The middle block has a circular flower window, above the cross also has a circular clock. 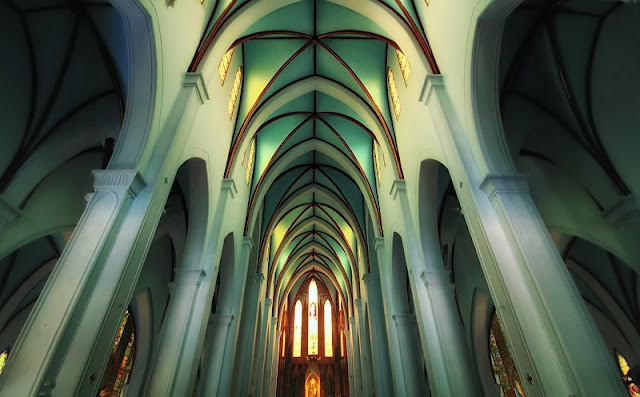 The windows are from colored glass, with the holy paintings, bringing natural light into the interior with magical colors.The church also has a Western bell, consisting of four small bells and a large bell, worth 20,000 francs at the time. In front of the church, there is a small square with the statue of Mary, which adds to the landscape value for the building. In general, the works are of European Gothic style, but still have a combination with the indigenous architecture shown in the system of terracotta roof tiles, the interior traditional Vietnamese decoration. So it is the special product of cultural exchange East-West. This is the most attractive destination to many local people as well as visitors of Hanoi City Tour. Nowadays, this is not only the center of Hanoi’s Catholic activity but also an indispensable destination in the journey of each tourist when visiting the thousand year capital.